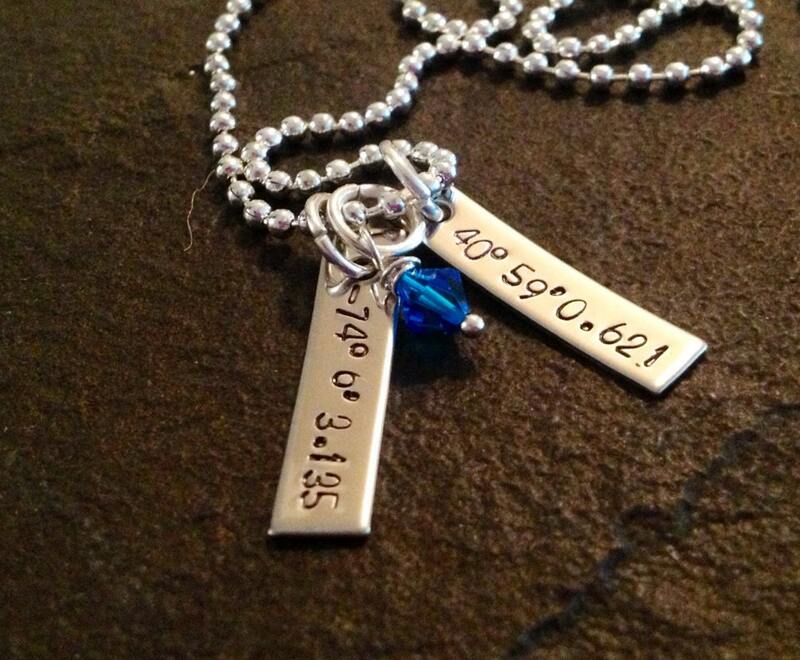 This necklace features 2 bar charms (1 1/8"x 1/4") with your choice of coordinates. Please feel free to change the wording to your liking! 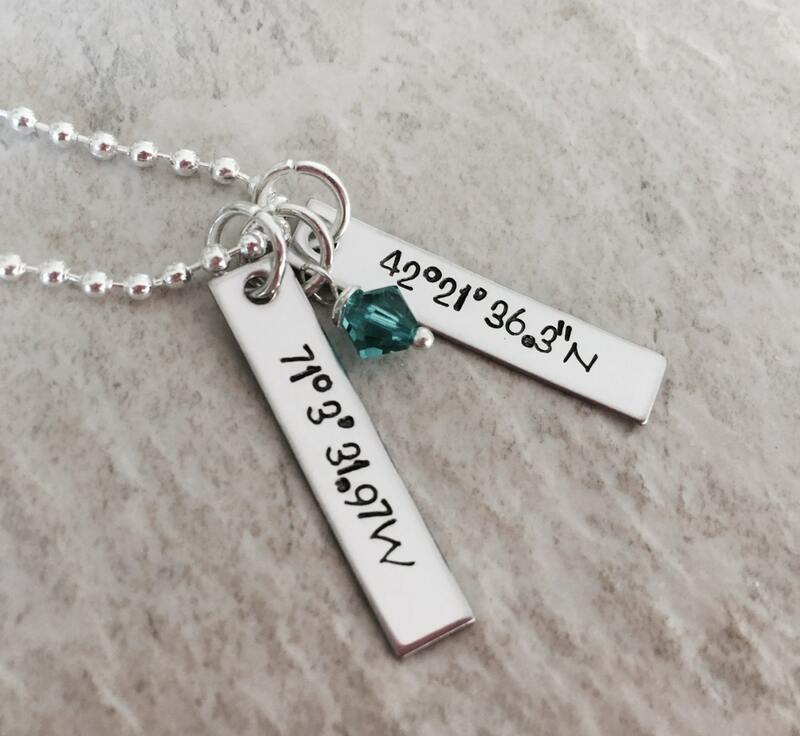 Includes a wire wrapped Swarovski crystal in your choice of color. 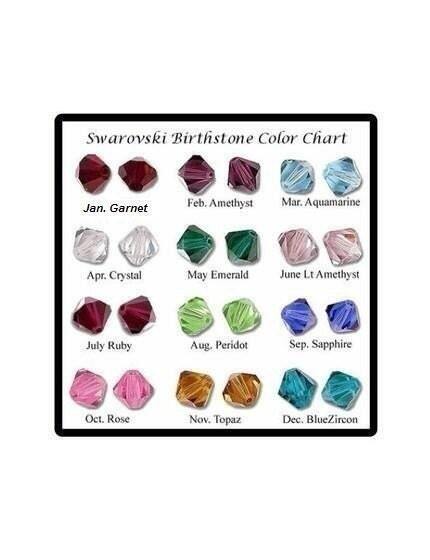 Please use the drop down menu labeled "Crystal color options" to select the color you'd like me to add. 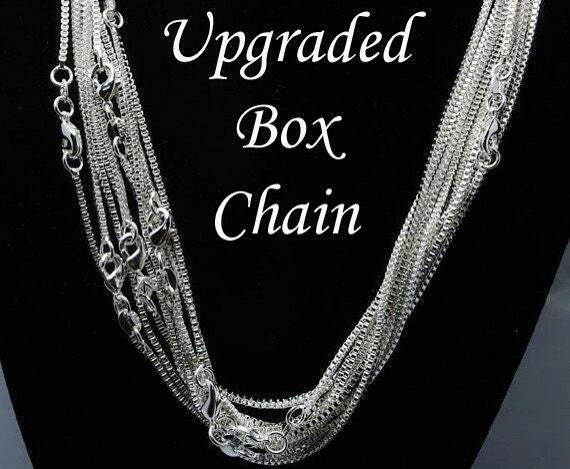 Also, please use the drop down menu labeled "chain options" to select the type of chain you'd prefer (it comes with a standard 24" ball chain, but you are welcome to upgrade to the box chain). At check out, please leave me a note on the check out page with the coordinates you'd like me to use on the piece. Fee free also to change the wording (some people prefer coordinates on one and a name of location on the other--but keep in mind the space I have to work with).